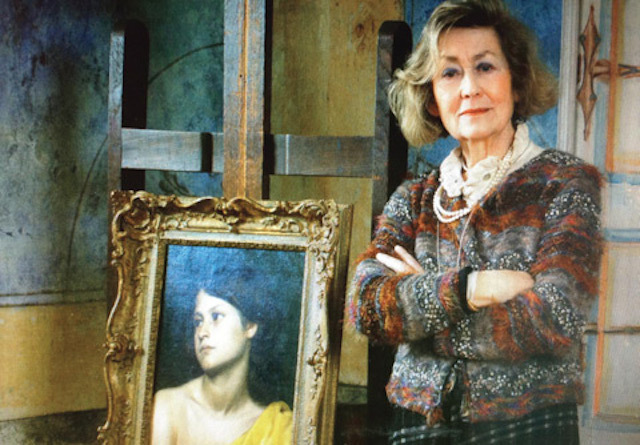 Lady Jadranka Beresford-Peirse, b. Njerš, of Croatian origin, lives in London, and is a founder of The International Trust for Croatian Monuments already in 1991. Since then, she has organized numerous humanitarian and cultural events and undertakings. 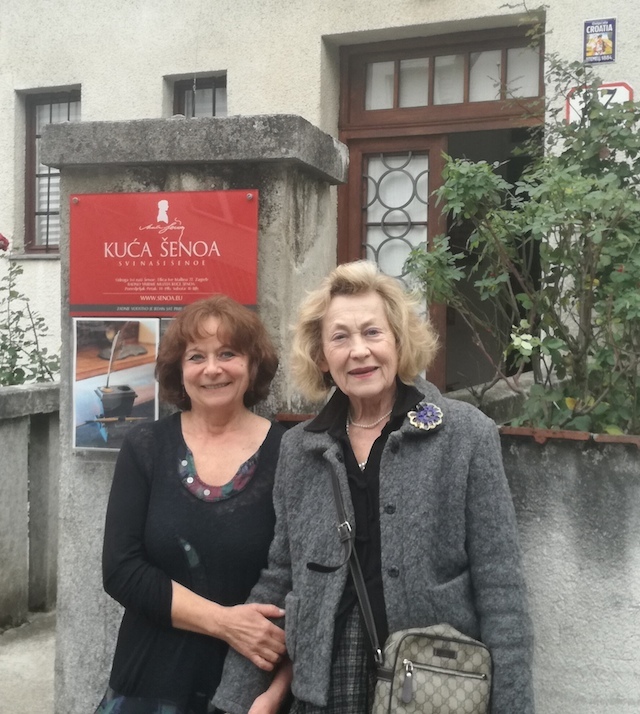 Here we reproduce her very interesting article published in London by "The Bridge", a journal of Croatian community in England, which deals with The Šenoa House, which is a private museum in the city of Zagreb, directed by Mrs. Jasmina Reis. August Šenoa is significant Croatian writer from the 19th century, one of the trademarks of Croatian literature. Lady Jadranka Njerš Beresford-Peirse, born in Croatia, lives in London. Photo taken in the Bukovac House in Cavtat (close to the city of Dubrovnik), by Robert Matic, Split. The photo represents "Djevojka sa žutom tkaninom" (A girl in yellow cloth) by Vlaho Bukovac, distinguished Croatian painter. Information by the courtesy of Lady Jadranka Njerš Beresford-Peirse. I am writing this contribution to Fra Ljubo's popular annual publication, THE BRIDGE, with a special aim in mind, hoping that the subject will appeal particularly to Croatians, our compatriots, living in Great Britain or in Croatia or anywhere in the world. For who, among us, Croatians, has not heard of the beloved 19th century writer, who we have all read and much admired, August Šenoa? Do we not all love him, have grown up with him, and wish his legacy to live forever? Yes, we do hope so, but his material legacy also needs to be preserved for future generations. His present day family, represented by Jasmina Reis, whose step father, Zdenko Šenoa, was the only grandson of August Šenoa, her husband and their sons, have done just that, with personal sacrifice, trying to preserve the memory of August Šenoa for ever. Jasmina Reis has written to our trust, the international trust for Croatian Monu- ments, appealing for help. Jasmina writes as a member of the association SVI NAŠI ŠENOE/ALL OUR ŠENOAS. She and her family have founded a private museum in their home in Zagreb, where Slava, the wife of August Šenoa, who survived the writer for many years, lived with her oldest son Milan, his wife and grandson Zdenko. The Museum, KUĆA ŠENOA, was opened to the public on 16th October 2016, on the day of Jasmina's parents wedding anniversary, coinciding with the world wide celebrations of "The Nights of the Museums". They have given over to the Museum much of their own living quarters, they all work there as volunteers, with occasional help from other volunteers and students. Zdenko Šenoa, an art historian and lexicographer, devoted the last ten years of his life to putting into order the legacy of his grandfather, August Šenoa. Jasmina helped him to transfer all his hand written observations and notes onto the com- puter. the desire to form a Museum has always been their ultimate aim. Before the Museum ŠENOA HOUSE opened to the public last year, the family did their utmost to secure the safety of the house, both for the safe keeping of this important legacy and for their visitors, improving and modernising all inside installations. Since the opening, ŠENOA HOUSE has been visited by over 3000 people, including school children, and it has been noted that members of the same families return again and again, to the particular delight of the Šenoa descendants. Last year, the first exhibition, THE DAYS OF AUGUST ŠENOA, was organised, which showed original documents from the birth to the death of August Šenoa. in May this year, they held the exhibition of love letters of August Šenoa and his wife, Slava, marking their 150th wedding anniversary. Both exhibitions proved very popular. For november and December this year they plan to show august Šenoa's manuscripts during the second exhibition entitled THE DAYS OF AUGUST ŠENOA. The house and and its collection is on the register of the moveable and immoveable cultural heritage of the Republic of Croatia. the collection contains documents dat- ing from the beginning of the 19th century to the present day, all very relevant to the history of Zagreb and the Republic of Croatia. There are over 6000 books that August Šenoa had in his library and all of his personal belongings are still there, carefully kept for many years. 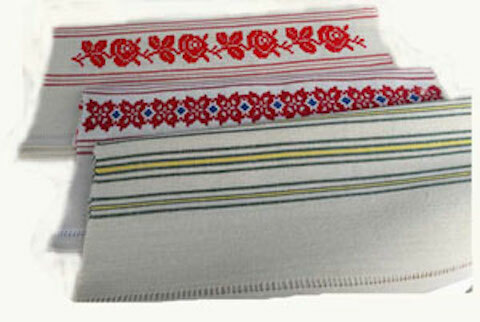 the documents also relate to the children of august and Slava. Milan, their oldest son, a university professor and a writer in his own right, who built the present house in 1928/29, where the Šenoa family have lived ever since. There is a touching story about Milan and the house that he built. this story would require a special article. 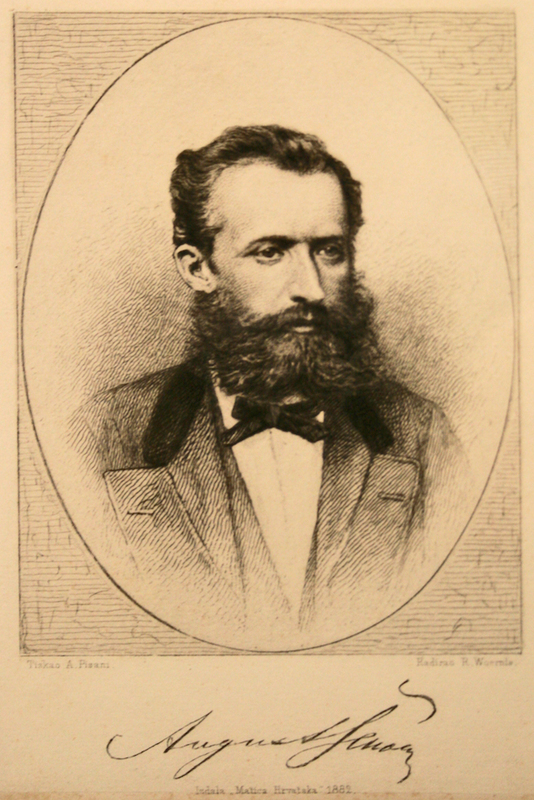 there was a daughter, Dragica, a fine musician, to whom Ivan Zajc dedicated his opera "Nikola Šubić Zrinski". the Museum holds his signed score, one of only two original copies. the second is in the University and national Library in Zagreb. then, there was their youngest son, Branko, who was only two years old when his father died aged 43. Branko was a well known painter and printmaker and in 1934 Branko painted in one of the rooms of the house a large mural, measuring 2.6m x 7,8m, as a birthday present to Zdenko, Jasmina's step-father, when Zdenko was 16 years old. This room is today dedicated to the memory of Branko Šenoa. Jasmina and her family have applied and are applying again to the Ministry of Culture for funding and so far the Ministry has helped them to conserve five most valu- able prayer books from the collection of August Šenoa. a collection of love letters between august and Slava is at present under conservation in the Croatian State Archives with funding from private donations that ŠENOA HOUSE has received. They have applied to other sources for funding. there is a great deal which needs to be done which they alone, from the sale of tickets, at 20 and 30 kunas per person, can never accomplish. There are big and small things which need attention. For example, the roof needs to be repaired at the estimated cost of round 350.000 kunas. They need to install video, fire and theft protection systems, which are also costly. Lady Jadranka Beresford-Peirse on the right with Jasmina Reis in front of the ŠENOA HOUSE - KUĆA ŠENOA in Zagreb. Photo by the courtesy of Jasmina Reis. The International Trust for Croatian Monuments was founded in 1991 under the auspices of the International Council on Monuments and Sites (ICOMOS UK) in response to damage and destruction of monuments of culture in Croatia caused by war. It became an independent charity in 1994 and the trustees are Serban Cantacuzino CBE, the Viscount Norwich, Peter Stormonth Darling, Sir Henry Njers Beresford-Peirse, John Beresford-Peirse and Jadranka Lady Beresford-Peirse. In those crucial times, Sir Roger de Grey, the then president of the Royal Academy of Arts, was also a supporter and a trustee until his untimely death in 1995. 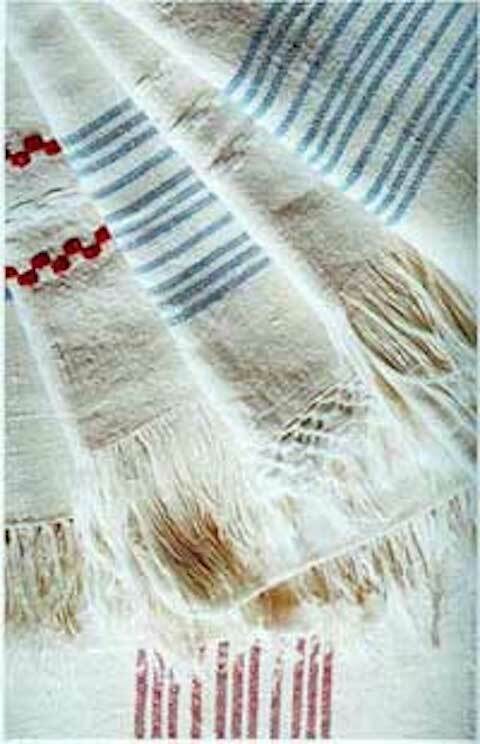 Our aim is to raise awareness of the rich cultural and artistic heritage of Croatia and to raise funds for the restoration and preservations of those sites that have become threatened either by war, neglect or lack of funding. We have pursued this policy with faith and determination and we believe that help is still needed. Through a series of appeals, articles, lectures, exhibitions and concerts, and with the generous support of many people in this country, from all walks of life, substantial funds have been raised and channelled to Croatia for specific restoration projects. Two piano recitals and a concert by Maestro Ivo Pogorelich, the Royal Festival Hall in 1992 and 1999 and in Palais des Beaux Arts in Brussels, in 1994, in aid of Dubrovnik and Vukovar. "The Art for Art Auction", held at Bonhams in 1994 in aid of the cathedrals in Sibenik and Osijek. The exhibition "Royal Academicians in Dubrovnik", Royal Academy of Arts in 1996, in aid of Dubrovnik. Three exhibitions devoted to the painter Vlaho Bukovac, 1855 - 1922, held at the Walker Art Gallery in Liverpool in 2005 and in the Mercer Art Gallery in Harrogate and at Bonhams in London in 2006. The exhibition dedicated to the work and life of the Croatian soprano Milka Ternina, 1865 - 1943, held at the Royal Opera House in 2006/2007. Lecture by John Julius Norwich on Alfred Gilbert held at the Royal Geographical Society in2003. Lecture by Sherban Cantacuzino on damage to architecture in Croatia held at the Royal Institute of British Architects in 2000. Steinway and Sons kindly mounted an exhibition in support of our work in Croatia. Please click here for further information. The Trust has supported restoration of churches, cathedrals, museums, libraries and works of art. With the help of British specialists we have helped with book and paper conservation in Croatia and established a stained glass workshop in Osijek. 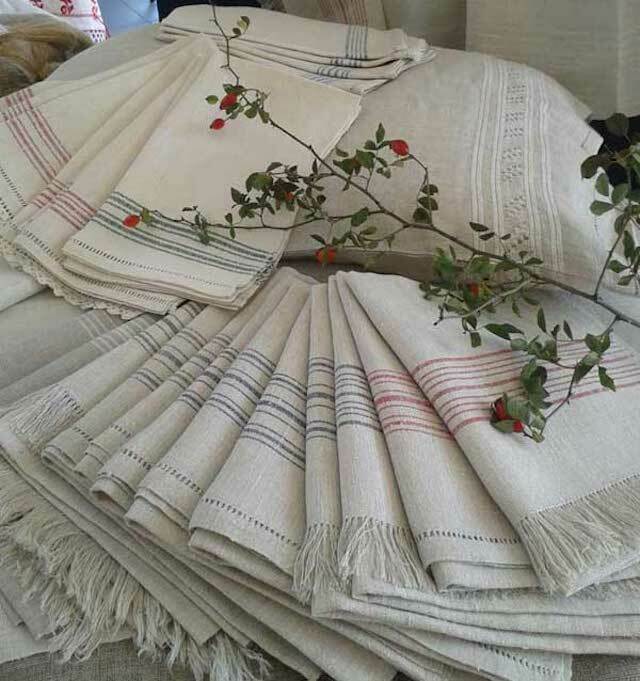 We have revived the growing of flax and established a Flax and Linen Workshop in Ivanic Grad. In particular, we have helped with the education and training of young conservators and restorers at institutions of excellence in Great Britain. We believe that investing in young conservators and restorers is our best investment and for that purpose funds are still needed.